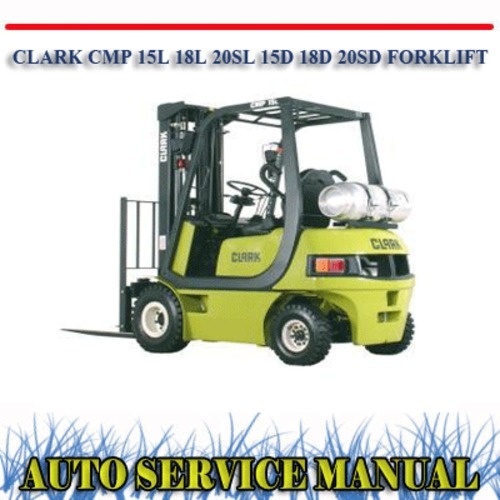 This is a very comprehensive manual (DOWNLOAD in PDF format) for CLARK CMP 15L 18L 20SL 15D 18D 20SD FORKLIFT TRUCK, Features detailed exploded views. This is the same manual that technicians use to fix your machines. Manual covers detailed and complete step-by-step written procedures with pictures and diagrams, fully printable-selected pages or whole manual, illustrated. So, you will not be disappointed. This is the manual for Repairs, Maintenance & servicing.